Simply the place to be. A one-of-a-kind experience. All year long. A one-of-a-kind downtown. An urban experience without too much urban. One of the most active, fun, energized Downtowns in Michigan. Home to scores of street-filling events, destination restaurants, café hangouts, and year-round shopping favorites. This is one fun, beautiful place to live! Street performers, live mannequins, parades, the Farmers Market and a whole lot more make this one the most charming places you will ever find. If you find a place to live in downtown Holland, you better scoop it up right away, because living here is hot, hot, hot, and everyone wants to do it. You’ll find everything from small student apartments above the shops on Eighth Street to upscale condos complete with heated sidewalks and driveways. That means your snow melts before you have to shovel it! Urban living can be found in every corner of downtown including loft-style living and condos with some units overlooking our historic Windmill, trails through Window on the Waterfront and Holland’s Centennial Park, home to music, arts and more. Downtown is home to over 100 boutiques, art galleries, salons, spas and restaurants. What more could you want? With a nice mix of locally-owned businesses and national chains, this is nine square blocks of serious fun. Over 24 eateries. Wow. In nine square blocks? Yep. 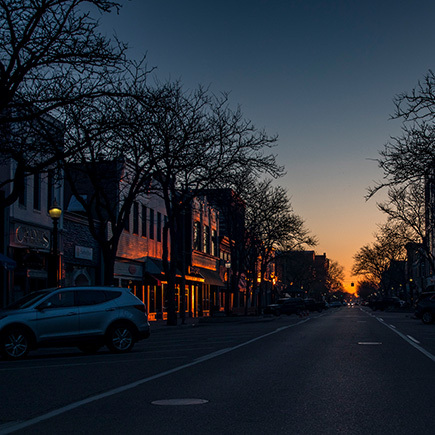 Home to the famous New Holland Brewing Company, Curragh Irish Pub, Alpenrose, Eighth Street Grille and much more, Downtown Holland is the place to be for foodies everywhere. In Downtown Holland you can certainly feel the love. Love, that is, for ice cream, gelato, yogurt, candy, hand-dipped chocolates and yes, coffee. Wherever you are Downtown you are just a few steps away from something deliciously sweet. Downtown supplies a steady cadence of year-round fun and activities. From morning parades to street performers to Live Mannequin Night to Girlfriend’s Weekend, there’s so much going on. Let’s not forget the energy and fun of Tulip Time. For many, “fresh” means the Farmers Market. Ours is one of the nation’s greatest with a ton of vendors, and a healthy crowd that makes this place to be every Saturday and Wednesday. But pay attention, because there are lots of other great things that happen at the Market. Don’t worry, the fun doesn’t stop when summer ends. Downtown Holland is home to the largest municipal snowmelt system in the U.S., so the good times can keep rolling in the winter. With over 100 specialty shops and 24 eateries, you're right in the center of it all. Live like no other, from affordable lofts and apartments to amazingly luxurious condos. Clean. Fun. Fresh. 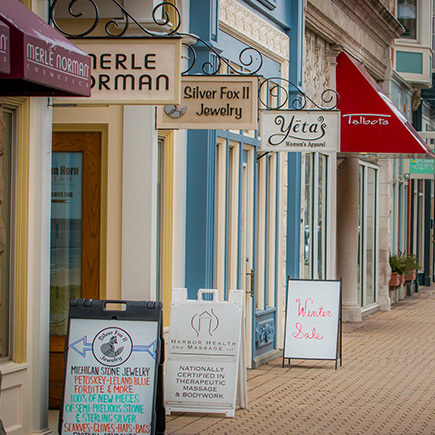 Downtown Holland offers unlimited possibilities to eat, shop and stroll.